In The Division 2, there are a total of 142 Comms to find, these are divided into 15 categories. To complete the game with 100% progress, you must find all the collectibles. You can look in the menu which collectibles you have already found and which you still missing. To do this, briefly press the “Options Button” and then select “Progress“. Then you switch to the tab “Collectibles” with the button R1. In this guide we show you the 13 Government Comms Locations. 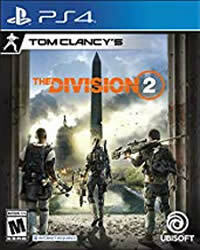 An overview of all the trophies and achievements can be found here, The Division 2 Trophies Guide.